I hesitated to post this, but after speaking with my friends they convinced me that I should share our experience to help others who might find themselves in the same situation. Based on feedback from my friends, there is a lot of confusion about when to call an ambulance if their child is sick or has an injury. Is my child sick enough to call an ambulance? Is my child’s injury serious enough to call an ambulance? Or should I just take him to the hospital directly? 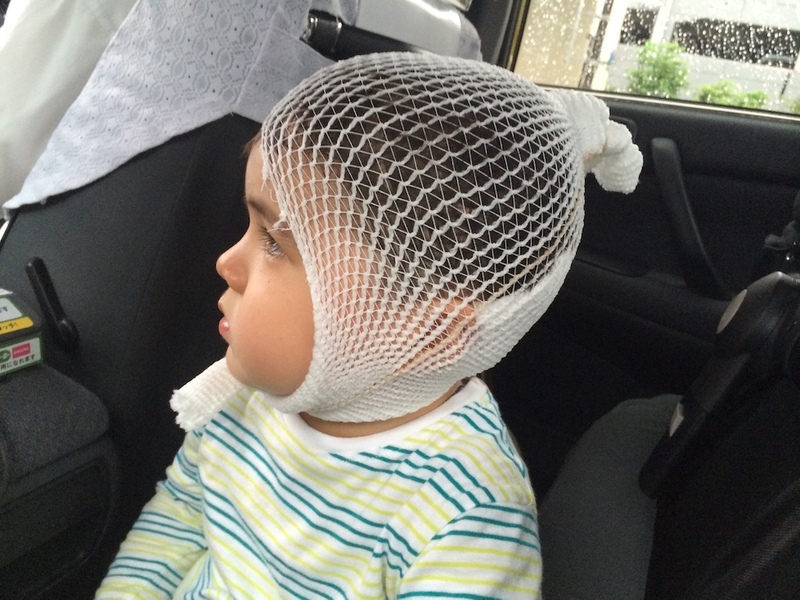 If I take my child to the hospital by car/taxi, will they accept me or turn me away? 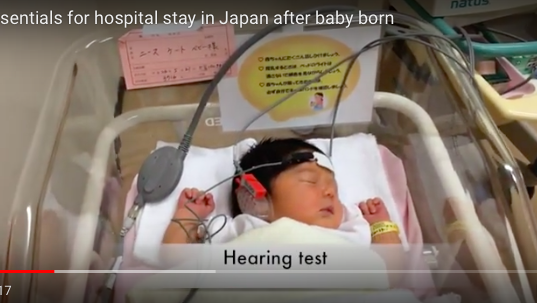 These are some of the questions that many parents are faced with when their child is sick or injured in Japan. It can be extremely stressful, and if your child IS sick or injured, it can be very serious. You may not have time to think about this or to call around the hospitals to see which hospital will accept your child. I can’t answer these questions directly, but I can explain two experiences where I have had to call an ambulance for my son. 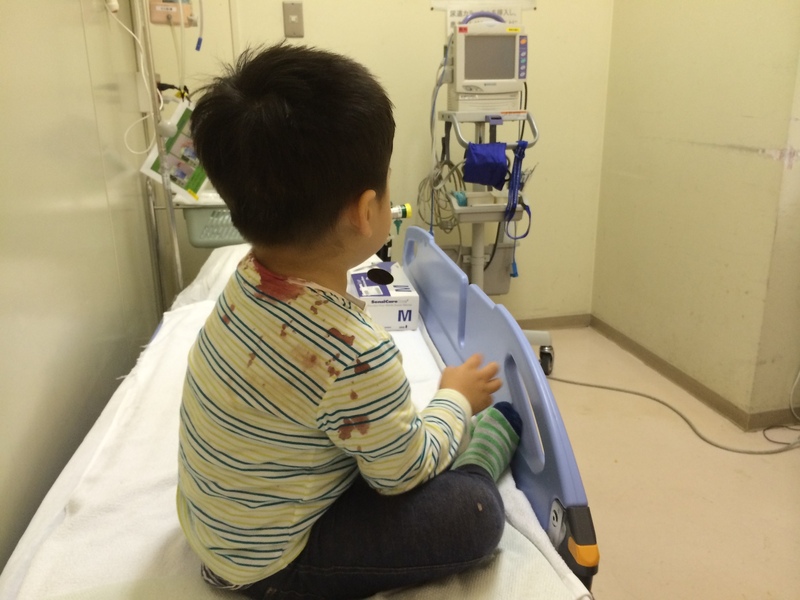 The first experience was when my son had a febrile seizure from high fever. You can read about this experience here, where my neighbour helped me to call an ambulance and they came straight away. A few weeks ago during the rainy season in Tokyo, I was walking home with my son after picking him up from nursery school. I had my newborn baby in the pram and my son was walking with an umbrella in his hand. 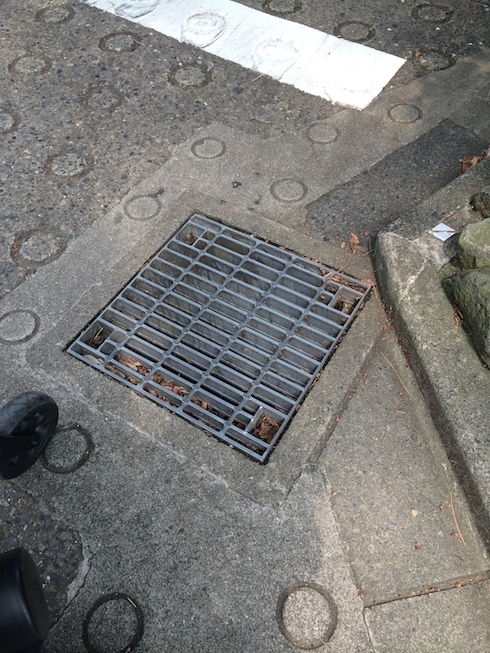 We were walking down a steep slope, and at the bottom of the hill I suddenly heard him slip and start crying – he had slipped on a metal drain on the corner. I quickly put the lock on my stroller and picked him up. As soon as I picked him up, I suddenly saw blood come streaming out of the back of his head. I was shocked to see so much blood come out so quickly – I quickly put my hand on it to apply pressure to try and stop the bleeding. He was crying loudly, in pain and shock too. As I had my hands on his head to stop the bleeding, I didn’t know what to do. I was sitting in the middle of the road at the bottom of the hill in a residential area, in the rain, with a pram. I knew I needed help. I wasn’t far from my son’s nursery school, so I quickly got my phone and called them. I was talking in Japanese and at first they didn’t understand what I was saying. I had to repeat myself a few times, that my son had fallen over and blood was coming out and asking them if they can come and help me. With each time I explained the situation, the urgency in my voice grew, to the point that I think they could sense my panic and the urgency in my voice. Finally they understood and within a few minutes they came running down the hill to help me. It was a relief when I saw them. They took control of the situation so that I could focus on my son. I remember being so thankful that my newborn baby was fast sleep in her pram. I don’t know what I would have done if she was crying. The owner of the nursery school quickly assessed the situation and called the ambulance. He had to explain the situation to the phone operator, and within 10 minutes the ambulance had arrived. The ambulance drivers immediately asked me what had happened. They treated the situation as serious as my son had hit his head and could have concussion. They explained that they weren’t too worried about the blood, as it is normal for head wounds to bleed, but they were worried if he had any internal brain damage from the fall. They called a couple of hospitals in the area and quickly confirmed one that would accept my son. They bandaged my son’s head and put me, my son, my baby, my stroller and all our bags in the back of the ambulance, and took us to the hospital. Did he black out (lose consciousness) when he hit his head, or did he cry straight away? Can he do “bonzai” and lift his hands above his head (without feeling dizzy or falling over)? They did an X-ray just to make sure there was no fractures and confirm everything was okay. He had a big cut on the back of his head though. 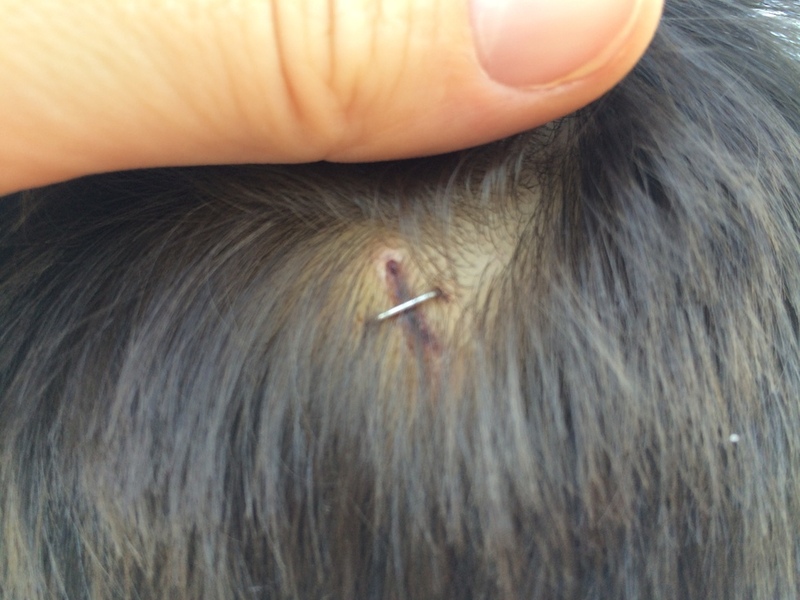 The wound was about 2cm, so they put a staple in it to seal the wound (literally a staple! With a staple gun!). I had to take him back to hospital the next day for a checkup (to check again that he didn’t have any internal damage, and that he was behaving normally). Then they took the staple out one week later. In my two experiences of calling an ambulance, both times the ambulance came straight away and the ambulance driver called the hospitals to check which one would accept my son. I think all parents have a keen sense when a sickness or injury is really serious, so I recommend following your instincts and don’t hesitate to call the ambulance for help. The ambulance driver will call the hospitals and find one that will accept your child, so you don’t have to worry about calling the hospitals yourself. I urge anyone in Japan, whether you can speak Japanese or not, to ask someone for help. This person could be anyone – your neighbour, a nearby shop owner, someone walking on the street. I think it is important to ask for help and have a Japanese person call the ambulance for you. 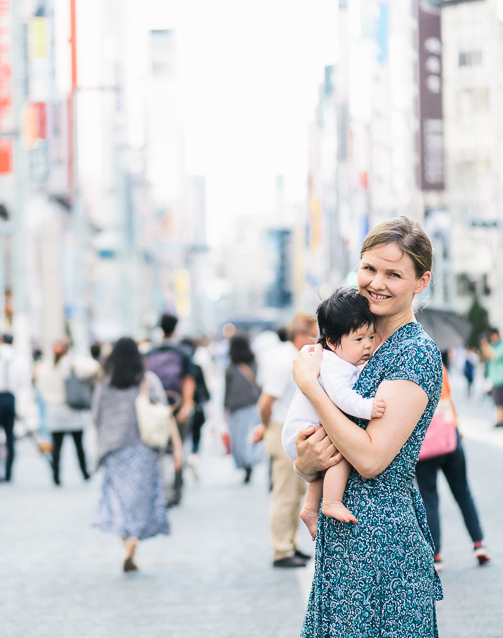 This ensures you can focus on your children, and I also think a Japanese native speaker can help explain the seriousness of the situation, to ensure the details and the seriousness of the situation is understood. I hope nobody has to experience calling an ambulance, but if you do, I hope this post will help. Thanks for sharing! It sounds like it was a frightening experience, but as usual you handled it well. This is good advice for parents anywhere! I hope your boy’s wound is all healed now. I am going to visit my husband in Kanagawa (Atsugi) with my 5m baby, could you kindly let me know which ambulance number should I reach? Thank you so much…. I really worry!! Hi Hong Mai! Thank you for your message. 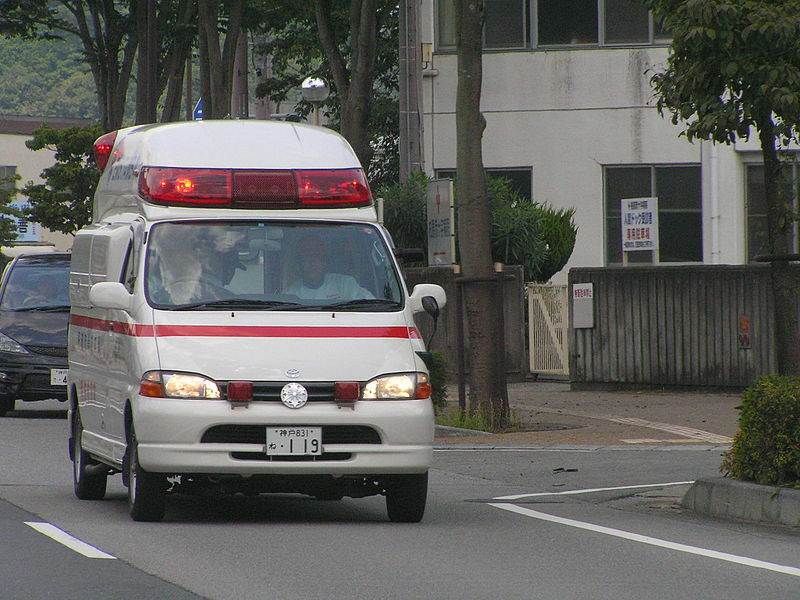 The phone number for the ambulance is the same anywhere in Japan – 119. If you ever need to call an ambulance, I highly recommend asking a Japanese person to help you (if there is a Japanese person near you at the time). The reason is that it makes it much easier and faster for the ambulance to understand the situation and to come ASAP to help you, if they can talk with someone in Japanese. It also means you can focus on your baby. If you can’t find a Japanese person to help you, call 119 and ask for an English operator, and they will be able to help you. Hi kate!! 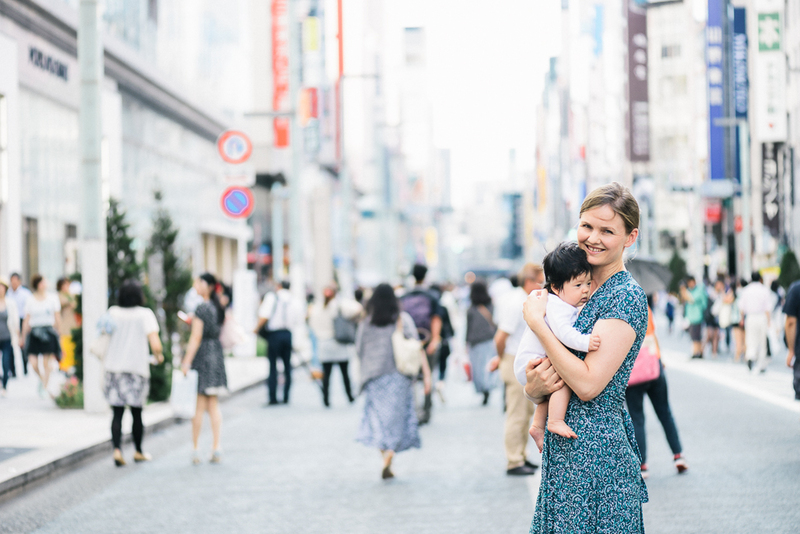 I live in nagoya.iam a mother of 7month old.i recently came by your vlogs and it is very helpful for a foreigner(mom)like me living in japan.i saw your vedio about taking child to nursery(hoiken).since i dont understand japanese that much and i dont have friends with babies to talk about these things,i would like to know your point of view on putting infants in daycare here in japan.from how many months did you put your lovely little ones in hoiken and what are your experiences?Iam very worried that my lo have to stay all day with other peoples and even thinking about this iam already stressed. Hi Suceila! Japanese hoikuen is fantastic. 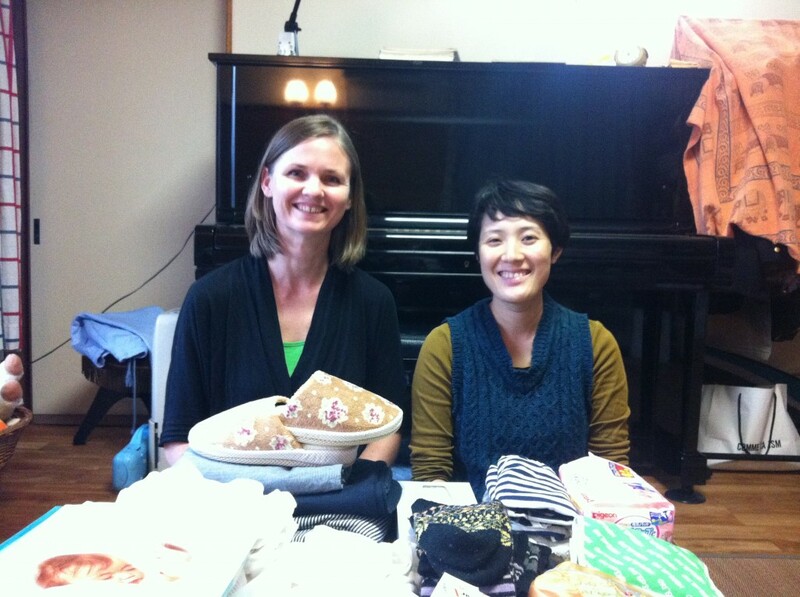 If you are looking for a part-time daycare, there are also private nursery schools around Tokyo. My first child started going to daycare when he turned 1.5 years, and my daughter started at 7 months. Both times was because I had to return to work. I was super worried when they started daycare, especially my daughter as she was just a baby. But honestly the nursery schools are great here – very high standard and friendly caring teachers, so my kids adjusted quickly. Hope this helps and all the best!